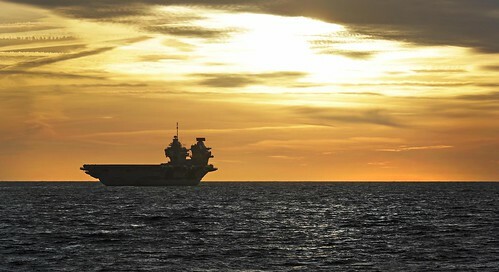 HMS Queen Elizabeth has sailed from Portsmouth Naval Base for the first time since arriving at her home port in August. The Royal Navy’s future flagship has embarked on the next set of sea trials to test the £3 billion ship’s capability. Captain of Portsmouth Naval Base, Captain Bill Oliphant said: “HMS Queen Elizabeth has been in Portsmouth Naval Base for two months of planned maintenance to allow her to sail to complete her sea trials today.